Thesis or project is a form of qualifying work performed in the last course. 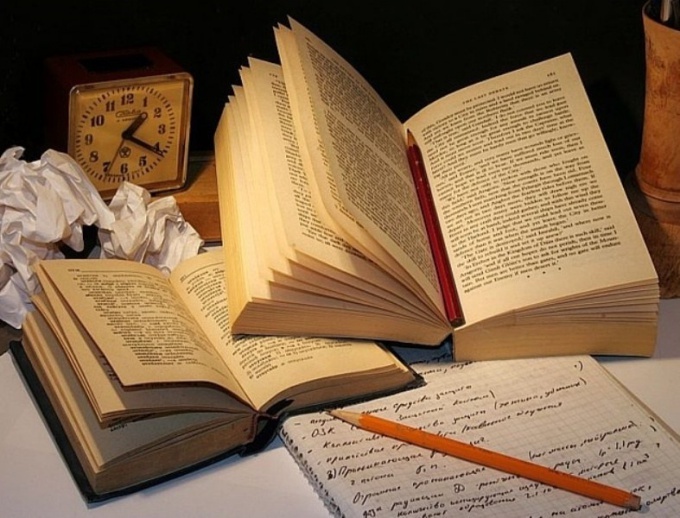 The purpose of writing the work is the systematization and generalization of theoretical knowledge and practical skills of graduates in their chosen field of study. Students often order the thesis in companies specializing in providing such services. However, there is no guarantee that the diploma will write to you qualitatively and in time. Independent writing work will save you from many problems, but also to approach the process responsibly. Very much depends on the correct choice of the theme of the qualification work. The better you have studied the question, the easier it will be to write a diploma. If possible, choose a topic covered previously in course papers or projects. You can then use as the basis for their studies, to deepen and expand them. This method has another advantage: you will have no problems finding references, as many fundamental works has been considered. A successful independent writing of the thesis largely depends on how you will be able to establish contact with the supervisor. In some cases, the teacher abstrahierte from a student, but most often will be happy to advise you on any issue, recommending literature prompt vector research. Once approved thesis topic, review the guidelines. The training manual you will be given at the Department in printed or electronic form. In this brochure you will find detailed information about the timing and rules of writing the thesis, but also tips for planning and building structures. Correct plan a thesis is half the battle. The fact that the entire work is rarely reviewed, but the plan always pay attention. The plan does not deviate from the topic. The plan is the Foundation of all the work, but keep in mind that you have to be 2 of the plan. The first work where the structure is usually arbitrary. It is possible that some items will have to rearrange, delete, add new. The second plan – final. He must not only give an idea of how you disclose the topic, but also to meet generally accepted criteria for any of the diploma thesis. The next step before writing your work will be to find information. Part of the literature will advise you supervisor, something you will find on the Internet (for example, work similar to that of your subjects). Do not neglect the thematic catalogue in the library. You can pick up the works of different authors, write their names, and then search the Internet for an electronic version of the book. Maximum systematize the gathered information, this will help in the future not to "drown" in a sea of facts, points of view and hypotheses. Remember that it is not recommended to use sources that were released more than 5 years ago. Once you have made a plan and gathered the necessary information, you can proceed directly to the writing of the thesis. We must start not with the introduction, which opens your research, and theoretical chapters. After she is ready, be sure to show her supervisor, discuss how well it reveals the topic, if there are any errors or apparent contradictions. The second Chapter is analytical. If you have a non-humanitarian direction of training, it is obligatory to write the design Chapter. The final stage is the writing of introduction and conclusion. Usually these two relatively short sections of special attention. And the supervisor, and the reviewer after viewing the plan always read the introduction and conclusion, and only then flipping the work itself. The final stage of independent writing of a thesis design. Rules of writing the bibliography indicated in the GOST R 7.0.5-2008, and the structure and rules of registration of GOST 7.32-2001. Don't forget to put in the work references to the literature, to execute the application. You can then finally approve the work of the supervisor, to print the final version and to prepare for the thesis defense.